Don't look surprised. With the Windows Phone 7 Series dev tools now out in the open the pent up demand for that elusive HD2 upgrade was bound to be a priority for some well-meaning developers, somewhere... namely, Russia. 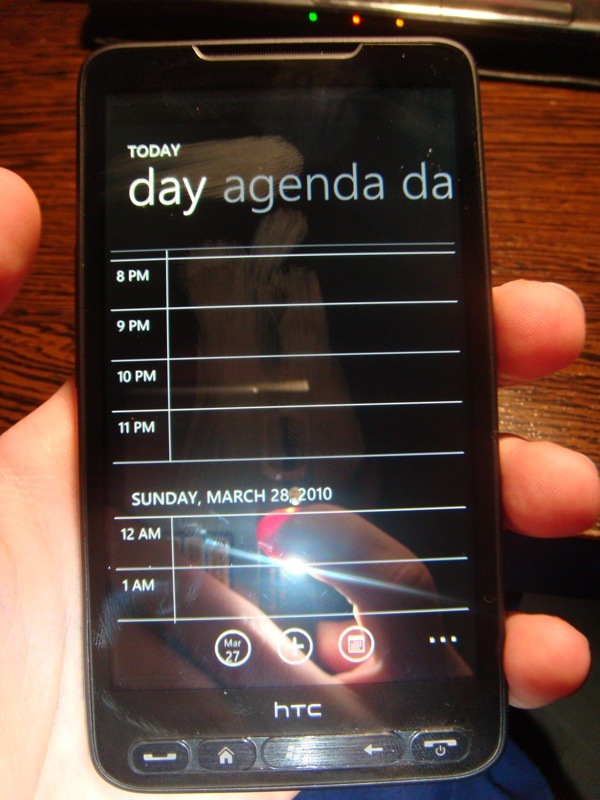 Now we've got what looks to be the first screenies of the WP7S OS running on an HD2. Better yet, htcpedia claims that almost everything is working including WiFi, GPS, and Bluetooth. However, the graphics driver is still showing problems and there is noticeable device lag. Nevertheless, the team is planning a beta release soon. Imagine it, an HD2 WP7S ROM available before Microsoft and its partners can even launch an official device, with its 5 buttons or not -- now that would be something. One more grab after the break, the rest at the source below. Update: Video evidence after the break. For what it's worth, the folks at XDA also think it's legit. Update 2: Yet another video has surfaced... beta please. Update 3: It's worth noting, as demonstrated by our friends at the:unwired, that the so-called port could be easily faked with a Remote Terminal connection back to a PC running the unlocked SDK. So while the HD2 port is definitely coming, this might very well be a hoax.